Laser Toning is a simple ,effective, non ablative laser based procedure to get an even tone and well textured skin. Although its a short term procedure, if its done repeatedly, it can give antiaging benefits by inducing collagen production. Its best suited for skin with surface irregularities, age spots, blotchy skin, tanning or uneven superficial pigmentation. It can be done for the face, neck and hands. 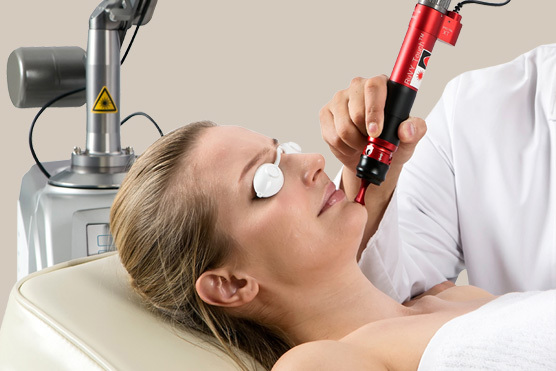 The laser in question is generally a Q switched Nd yag laser or IPL. The procedure is generally painless, although some might feel a sensation of warmth/heat. It does not have any downtime and the instant brightness it provides is what makes it popular..